Life for Garit Poire falls into two boxes. There are the days before Nov. 16, 2014, and those that have followed. And that day in the middle, the line of demarcation? On Nov. 16, 2014, Garit, then a civil engineering student at Florida State University, was visiting Atlanta for his mom’s birthday. He didn’t feel well. He thought perhaps he’d accidentally eaten some gluten and triggered his allergy. He was wrong. It wasn’t gluten. “My entire heart sac had filled up with fluid and was pushing against my heart,” Poire said. The doctors gave him one week to live unless they did emergency heart surgery immediately. If the universe was indeed talking that day, Poire was listening. He had life-saving surgery and has returned from the brink with a renewed passion for helping others. 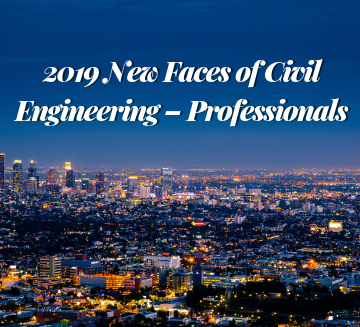 Four years later, he works in the Special Projects Division for Turner Construction in Orlando, FL, and has donated his time and energy to numerous engineering causes across the state. 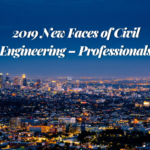 ASCE has honored Poire as a 2019 New Face of Civil Engineering. The surgery went well, but even still, the doctors recommended Poire take about eight months off from any strenuous activity. That’s not really Poire’s style. Two months later, he decided to run for president of his ASCE Student Chapter. “My doctor was not very happy with me,” Poire said, laughing. He knew that his Student Chapter, a part of the only joint college in the country between Florida Agricultural & Mechanical University and Florida State University – needed to raise more money for its projects to reach their full potential. So the summer after his junior year (and the surgery), he eschewed internships in favor of teaching himself new marketing and fundraising skills – newsletter layout, photography, graphic design, social media, you name it. In all, the Chapter raised nearly $50,000 that year, and Poire’s second-chance mission to help had begun. He took on any and every volunteer assignment on campus and with other engineering organizations – from graduate advisor roles, to planning committees and conferences, to communications and marketing initiatives. 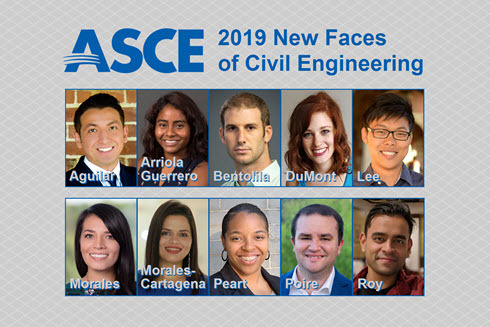 After graduation, he started as the K-12 outreach chair for the ASCE Tallahassee Branch. He’s now managing all of the Florida Section’s communications, as well as the marketing for its annual conference. The list of accomplishments and responsibilities is seemingly endless. Then, when ASCE released the Dream Big film in early 2017, Poire recognized the opportunity for powerful outreach work. He partnered with friend and local engineer Christin Gorman to start what they called the INSPIRE program, a joint venture between the ASCE Tallahassee Branch and Florida universities, organizations, and companies to promote K-12 STEM outreach for at-risk youth in Florida, Alabama, and Georgia. Poire’s team set up INSPIRE days at the Tallahassee Challenger Learning Center for students to watch Dream Big, enjoy hands-on STEM activities, receive engineering goodie bags, and even get a free catered lunch. In all, INSPIRE connected with nearly 1,000 local students. And last year, when ASCE was working to get Dream Big educational toolkits into every U.S. public school, Poire again stepped up. 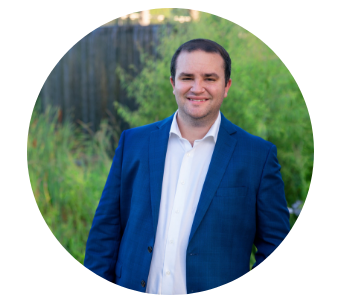 Working with his fellow ASCE Florida Section leaders, he established the Great Give, a crowdfunding campaign that raised more than $12,000 in just two weeks to secure the toolkits for every remaining school in Florida. Meanwhile, Poire is also pursuing his Ph.D. at the FAMU-FSU College of Engineering, while still working full-time for Turner and participating in his community organizations. Four years on from heart surgery and still only 25, Poire is grateful for his second chance and anxious to continue his work helping others, reshaping his community through civil engineering and outreach. “I don’t think any individual can create a massive change,” Poire said. “But if I can inspire one other person and make a little ripple and that person inspires two other people, you know, change comes in a wave, but a wave is just a combination of multiple ripples. Connect with Garit on Linkedin.